22 Commercial Real Estate & Properties in Woodridge are listed in 6 categories. We have 13 Industrial Warehouses Lease , 4 Retail ShopsLease , 2 Medical and Consulting PropertiesLease , 2 OfficesLease , 2 Other Commercial PropertiesLease and 1 ShowroomsLease . 1767m2 clearspan warehouse 154m2 office space over two levels Kitchen & amenities 3 phase power Two container height roller doors Container set down areas Approx. 7m internal height Available from 1st March 2019 Dual access Contact Marketing Agent Mmapula Moyo 0449 733 996 or Robert Lov 0416 339 991 Logan Road, Kingston Road, Compton Road and surrounding area encompass the Woodridge/Underwood business centre, which is a mixed use urban development area incorporating the Underwood/Slacks Creek industrial estate as well as retail, commercial and office establishments. 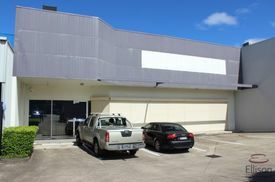 308 SQM total floor area Next to Cash Converters and Woolworths on the outside of the complex Kitchenette area at the rear of the tenancy Excellent signage capabilities Open frontage with roller doors opening out to busy car park with high volumes of passing traffic Located in a well established shopping hub, with both ample open air and underground parking Join national tenants such as Woolworths, IGA, Cash Converters, Jetts Gym, Australia Post and a great mix of specialised shops and food outlets Complex features approximately 15 000 SQM of retail space that attracts 35 000 customers weekly Taxi rank and areas for all modes of transport Outgoings included in rental Approximate If Applicable. For more information please contact Charlie Meallin. 64 SQM of open plan retail space Fitted to suit food business, with ample foot traffic Functional commercial kitchen layout Contains 3 individual cold rooms and large glassed display area at front of store 10 amp, 3 phase power Opposite grocery store and butchery Shopping centre of 15 000 SQM has nationally recognised tenants such as Woolworths, IGA, Cash Converters, Jetts Gym, Australia Post with a mix of speciality shops and food outlets Excellent open air and underground car parking options as well as a taxi rank and all modes of transport Outgoings included in rentals Approximate If Applicable. For more information please contact Charlie Meallin. A choice of spaces ranging from 46 308 SQM A total of 15 000 SQM of retail space in this well established centre located in the heart of Logan Excellent leasing opportunities Can suit a wide range of businesses National tenants already established are Woolworths, IGA, Cash Converters, Jetts Gym and Australia Post as well as a wide variety of speciality stores, food outlets and tenants Open air and underground parking, taxi rank and space for all modes of transport Outgoings included in rental Approximate If Applicable. For more information please contact Charlie Meallin. Approx. 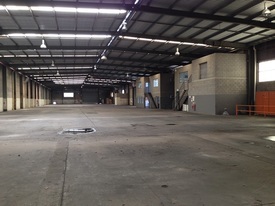 780m2 Freestanding Warehouse Air conditioned approx. 100m2 Office Bonus 100m2 load bearing mezzanine 1/2 Circle driveway 2 Container height roll doors Great location warehouse not to be missed! Contact agent today to inspect Logan Road, Kingston Road, Compton Road and surrounding area encompass the Woodridge/Underwood business centre, which is a mixed use urban development area incorporating the Underwood/Slacks Creek industrial estate as well as retail, commercial and office establishments. 140m2 Clear Span Warehouse 3 Phase Power Well presented Unit External amenities Partially built small office space Contact Your exclusive agent Located just off Compton rd this is an ideal workshop for a Mechanic or small occupier for Storage. Plenty off customer parking in sort after location. 140m2 showroom Good on site parking Direct access to the busy Compton Road and minutes from M1 Includes basic amenities Contact me today for more information or to arrange an inspection! Approx. 378sqm of prime showroom, warehouse and office in Underwood Massive exposure to high volume traffic flow daily Open plan carpeted with air conditioning Existing set up with minimal work required Ample parking on site for staff and customers Flexible lease team available Move in immediately Logan Road, Kingston Road, Compton Road and surrounding area encompass the Underwood business centre, which is a mixed use urban development area incorporating the Underwood/Slacks Creek industrial estate as well as retail, commercial and office establishments. Retailers in Underwood include Bunnings, Big W and Woolworths as well as The Zone, which is a privately owned retail estate. 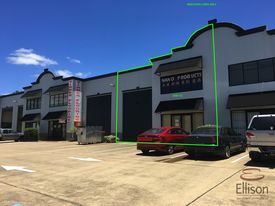 Description: Recently renovated 161m2 warehouse / office area 111m2 clear span warehouse area 20m2 air conditioned office area and lunchroom 30m2 mezzanine storage area 2 roller door access M/F amenities 3 phase power Alarm system 3 parking spaces on site Contact Exclusive Agent Manoli Nicolas for an inspection today! Area: Office: 20m² Mezzanine: 30m2 Warehouse: 111m2 Total: 161m2 Location: The Logan Central Business Area consists primarily of retail businesses however the area has developed into a key community hub with a variety of Government and Human Services providers located within the precinct. The precinct surrounds the Woodridge Train Station making the area easily accessible via public transport. 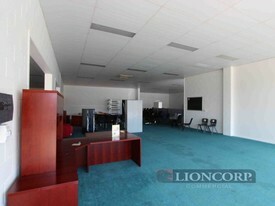 Description: Clearspan Showroom/Warehouse Parking at front door Easy access to m1 Contact Lance Hartley 0418 155 607 for an inspection or further details Location: The Logan Central Business Area consists primarily of retail businesses however the area has developed into a key community hub with a variety of Government and Human Services providers located within the precinct. The precinct surrounds the Woodridge Train Station making the area easily accessible via public transport. Price just dropped, with it being newly renovated, it will be gone real soon, so don't miss it! !If you are looking for a small family home or a cozy home for yourself and your beloved. You won't want to miss out on this one.Newly renovated with fresh paint. New Curtain and Brand New carpet!!!!! This 2 bedroom unit, single level situated in a quiet complex, is situated just a short distance from Compton Rd with easy access to transport.Featured with 2 good sized bedroom both with built ins. Open plan kitchen/dining/living area. A very neat and amp; tidy kitchen with plenty of storage spaces. You also have a small covered out door area. Single lock up garage with internal access. Call us today and if you are approved you can move in tomorrow ! Available NOW! This Woodridge townhouse includes two bedrooms both with ceiling fan/light combo and with carpet.Property also features carpeted lounge and dining rooms, kithchen with westinghouse appliances, one bathroom and internal laundry.Also security screened throughout property with single lock up garage.Please call 3373 9868 to inspect!